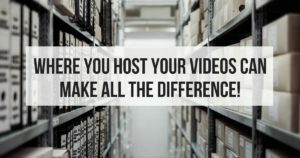 So, you have started your video marketing, and now you need to know Where To Post Your Videos to get the best results, maximum exposure, and secure storage. If you want to become a Video Marketing Guru and start generating leads daily then, you need to get No-Fear Video Marketing, period! When I first got started doing Videos, I thought you set up your camera, hit record and then chatted for a couple of minutes. Obviously, before you can post your videos you have to create them. I’m in the process of setting up a FREE resource for those people who want to learn how to do some professional editing once they record their videos. I can tell you I started out using my iPhone and still do to this day. So, you don’t need to go out and invest thousands of dollars in high-end video production equipment. There are hundreds of places you can host/post your videos, but today I’m only going to address three. The first place to post and host your videos is the prominent place YouTube. YouTube is one of the top search engines out there and of course Google loves them because they own them. People are searching more and more for videos to answer their questions and get training. YouTube also has some great bells and whistles that add to your marketing. Once you put your video on YouTube, it mostly belongs to them. If they decide for whatever reason, they want to shut down your channel, they will. You lose that control over YOUR content. So, my recommendation is to post to YouTube, but don’t let that be the only place you store your videos! Vimeo is not as socially inclined as YouTube, but it does have a social aspect to it. The pros and cons on Vimeo are pretty much the same as YouTube. You don’t own your content once you upload it and your channel can be shut down at any time. Vimeo also a paid service, where YouTube is Free. Same recommendation as with YouTube be sure to back up your videos. You can learn all about the third location in the video below. Understanding where to post/host your videos puts you on your way to building a video marketing empire. The next time you get stuck on where to post your videos or if someone is asking you please refer back to the post. If you want to take you Video Marketing to the next level and become an authority in your niche, then you need to get your hands on No-Fear Video Marketing. What’s love to see your favorite video that’s working for you now? Great to know your options! Thank you for the detailed look at video options! 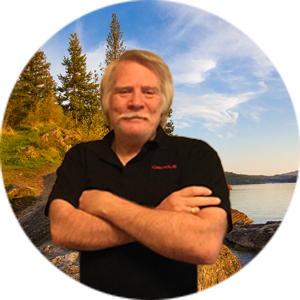 Great post Ron! Some great nuggets for videos here, I like Youtube for exposure, but I agree kinda scary if you rely totally on them. I need to look more into Wistia and start using it now. Great post! I’ve had so many friends have their youtube account’s shut down.. it’s pretty scary.. I love this post & your video! You make a lot of great points! SO the best idea would actually be to always have all your vids backed up on a hard drive?! Great value on when to post videos. I learned a lot. Thanks so much! Great post, I did learn about Wistia. I did hear about Youtube account getting shut down so I am backing up all my video. I’ve done YouTube and Wistia. Use YouTube for content based videos to drive people to my blog to get my free book, and I use Wistia when I’m doing webinar replays or sales presentations. Thank you Lisa…. love your videos. Great stuff Ron, you definitely have back you videos up just in case the axe falls on your channel.